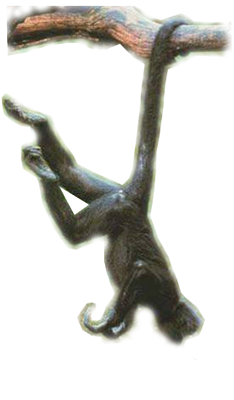 The Primates are an ancient and diverse eutherian group, with around 233 living species placed in 13 families. Primates radiated in arboreal habitats, and many of the characteristics by which we recognize them today (shortened rostrum and forwardly directed orbits, associated with stereoscopic vision; relatively large braincase; opposable hallux and pollex; unfused and highly mobile radius and ulna in the forelimb and tibia and fibula in the hind) probably arose as adaptations for life in the trees or are primitive traits that were retained for the same reason. Several species, including our own, have left the trees for life on the ground; nevertheless, we retain many of these features. 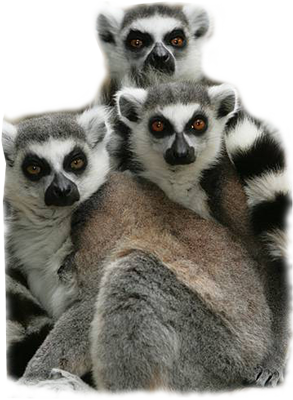 Living primates are divided into two great groups, the Strepsirrhini and the Haplorrhini. 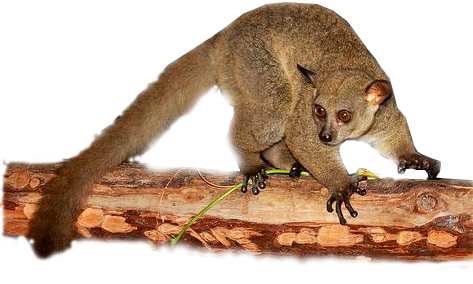 Strepsirrhines have naked noses, lower incisors forming a toothcomb, and no plate separating orbit from temporal fossa. 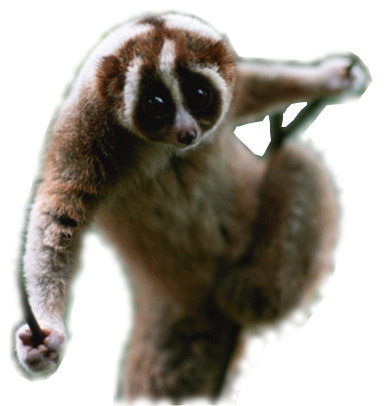 The second digit on the hind foot of many strepsirrhines is modified to form a ” toilet claw” used in grooming. 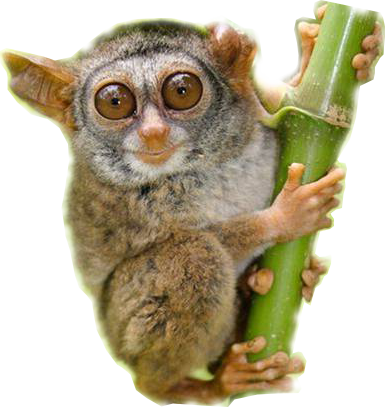 Strepsirrhines include mostly arboreal species with many primitive characteristics, but at the same time, some extreme specializations for particular modes of life. 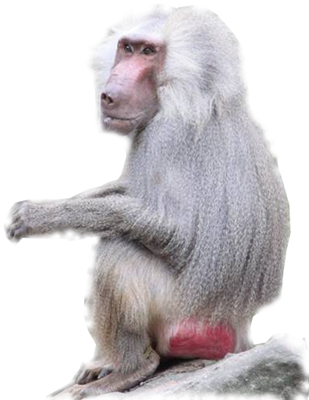 Haplorrhines (“higher” primates), have furry noses and a plate separating their orbits from the temporal fossa, and they lack a toothcomb. Haplorrhines include many more species, are more widely distributed, and in most areas play a more important ecological role. Haplorrhines are further divided into two major groups, the Platyrrhini and the Catarrhini. Platyrrhines have flat noses, outwardly directed nasal openings, 3 premolars in upper and lower jaws, anterior upper molars with 3 or 4 major cusps, and are found only in the New World. Catarrhines have paired downwardly directed nasal openings, which are close together; usually 2 premolars in each jaw, anterior upper molars with 4 cusps, and are found only in the Old World (Cercopithecoidea, Hominoidea).